Lunger Monument Designs takes great pride in custom designing your monument for your family. You can choose your monument from the thousands of our computer designs already provided or create your own personalized design. Lunger Monument Designs wants your monument to be a personal reflection of your family and an everlasting tribute to your heritage. 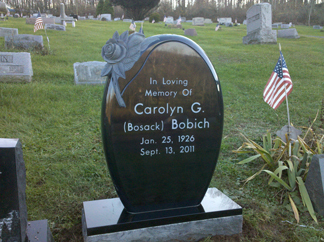 We offer all domestic and imported colors of granite and bronze markers. We are a family owned business that will help your family from the design phase to the installation of your family’s monument.